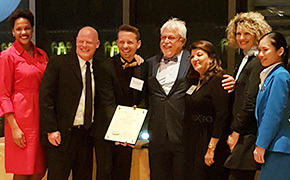 Michael Magliocco & Charles-Olivier deFaud present SkyLink's award to Shahnaz Pithawala & Sandeep Mamgaine. 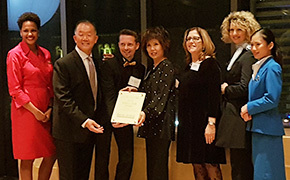 The Gardiner's private dining area and exhibits were dedicated to the enjoyment of Delta, KLM, Air France & Alitalia's top performing agency partners from across Canada. 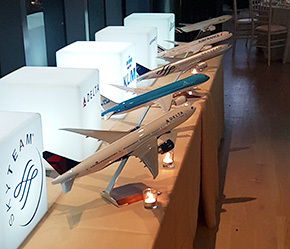 Staff and management from all 4 joint-venture carrier members were on hand to welcome special guests with a glittering cocktail reception followed by a delicious three-course meal. 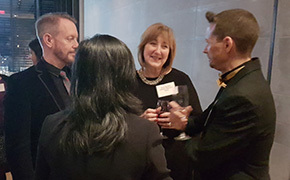 It was clearly fun for all to connect with industry colleagues and business partners and be recognized for a challenging year but one that brought unprecedented success. Jean Noel Rault, V.P. & G.M. 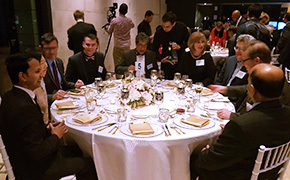 AF/KL Canada told guests that the joint venture is unique within the airline industry with its four world-class carrier members. 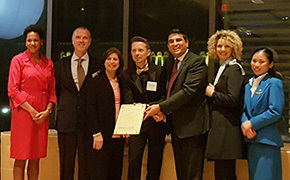 He also recognized the important role WestJet plays in the JV's success in North America. Rault also predicted that the WS partnership will develop further over time and become a major force in the Canadian market. WS currently represents 10% of JV pax connectivity. 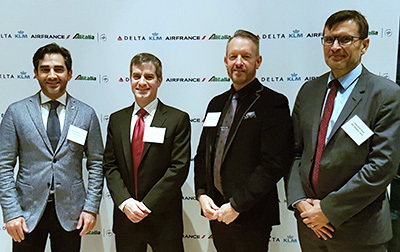 Rob LeBel, Managing Director Specialty & Canada Sales for Delta Air Lines provided some strong statistical evidence as to how important the Canadian market and top agency partners are to the carriers' success. 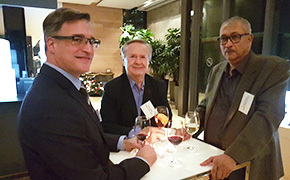 LeBel said the evening's guests represented 60% of the dollar volume and 70% of pax in Canada for the JV. He says the partnership continues to mature, having hit record pax levels that represent an increase of 0.5 points in market share -- which he describes as "astronomical."